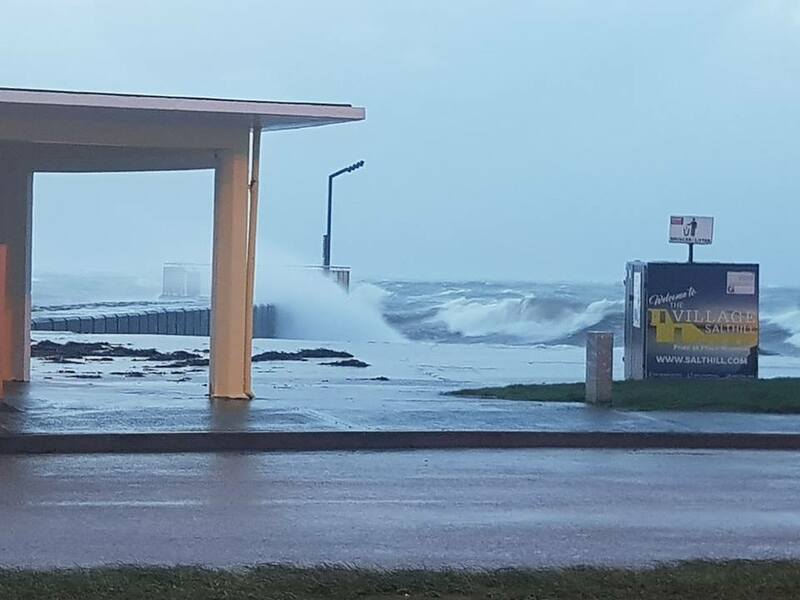 The Salthill Promenade closed this morning due to flooding from Storm Erik. Galway city council announced that the combination of the high tide and storm force winds from Storm Erik caused water to overtop in Satlhill. The Promenade has been closed from Grattan Road to Leisureland because of flood waters on the street. Storm water has also made its way into Toft Park according to the city council. Road crews from the city council will continue to monitor the situation and reopen the road when appropriate. A status orange weather warning for Galway put in place die to Storm Erik will remain in place until 1pm today. Though Galway was warned of potentially damaging storm force gusts of up to 130km/hr on exposed coasts, winds from Storm Erik turned out not to be as bad as predicted. The strongest winds recorded by Mace Head weather station were 120km/hr at 6am this morning. A yellow rainfall warning for Galway, Mayo, and Donegal will remain in place until midnight tonight. A yellow weather warning for the rest of Ireland expired at 6am this morning. Currently, Met Eireann is forecasting strong winds to remain throughout the west today, with widespread showers and longer spell of rain lasting into tonight.